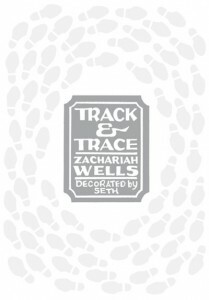 Zachariah Wells is a Canadian poet. He maintains the blog Career Limiting Moves in addition to reviewing and editing work and the publication of two full-length collections so far: Unsettled, a collection of poetry about Canada’s Eastern Arctic, and more recently Track & Trace. I’ve started reading your book Track & Trace and think “Cormorant,” is a terrific poem. Would you agree with Rilke that poets mine their childhoods for some of the best stuff they do? I’m glad you like “Cormorant.” It was a very difficult poem for me. I know we’re all supposed to pretend that we write a hundred drafts of our least little sonnet, but that’s not at all typical for me. I’m usually a one-to-four-drafts-followed-by-tweaks-and-fiddles kind of writer, in large measure because I usually work on a poem in my head for quite a while before I sit down to paper or computer. Either the poem comes out in some kind of satisfactory manner or it doesn’t, in which case it gets abandoned. I’m more likely to rewrite a poem from scratch some time after an earlier attempt than I am to revise it tirelessly. “Cormorant” was different, though. It went through I don’t know how many drafts over a span of ten years or so, but however much I despaired of ever putting it to bed, I kept coming back. A few readers of the book have now singled it out as a favourite, which is a relief to me, having put so much into it. A strange protestant vestige in me feels that this poem has earned readers’ respect more than any other I’ve written. Anyway, to address your question. I’m loath to generalize about “poets” or essentialize “poetry,” but I’d say that yes, for poets of a lyrical/narrative bent childhood is almost inevitably a rich vein to work. (I’ve been revisiting Elizabeth Bishop’s work of late, and she’s a classic case of someone who kept coming back to the first few years of her life in her poetry and fiction.) Lyric writing is all about the construction and representation of individual identity, so it’s only natural that childhood would figure prominently in it: it’s a time when all experiences are new and therefore more intense and significant, when the brain is developing rapidly, when the foundation myths of our lives are being laid. (Speaking of myth, my parents’ lawyers require that I issue a standard “resemblance to actual events or persons living or dead” disclaimer whenever I read “Cormorant,” since it involves the slaughter of protected species and my mother’s on the board of the Prince Edward Island Nature Trust.) A number of the poems in Track & Trace, particularly early in the book, are set in the shallow valley in central PEI where I grew up. For the first several years of my life, that bucolic property and the hundreds of acres of fields and woods that border it were my world. I grow rather weary of the programmatic arguments that literature in rural settings doesn’t reflect contemporary Canadian reality. A)Setting has nothing to do with whether a work of literature is any good. B)Says you, city kid. It certainly is reflective of my Canadian experience; as someone writing lyric poems rooted in particular places (some of which are cities), it would have been a strange omission indeed for me not to write about the place where I grew up. But then, I also write a lot of poems that are not directly related to my autobiography and I think some of these are among my strongest efforts, too.